Thanks for visiting us on the Web! Use the information or menu on the right to contact us or get directions and a map to our office. Please bookmark our site and return again as we will be adding more information and resources to help you maintain that beautiful smile. We look forward to seeing you soon! 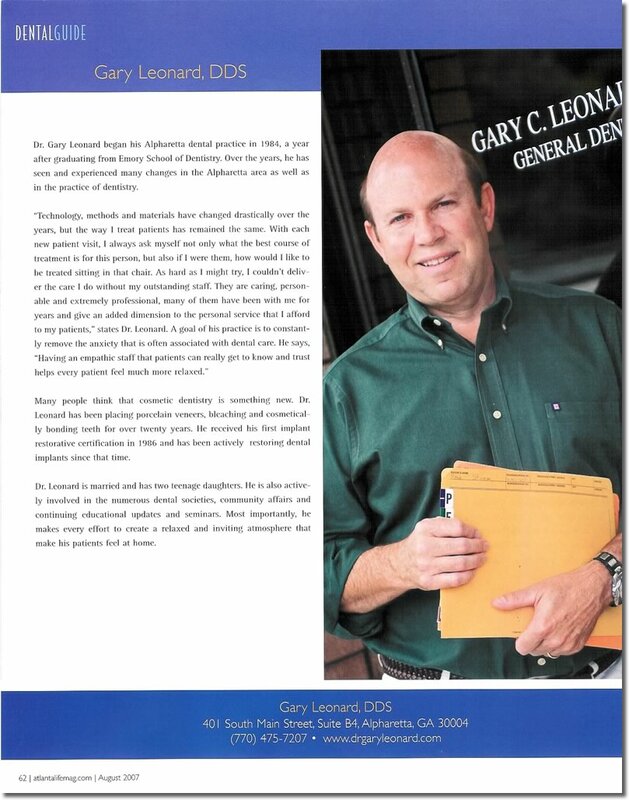 Disclaimer: Doctor Gary Leonard, DDS has provided this website for informational purposes only. It is not intended to provide any medical advice nor does the use of this site create a dentist-patient relationship.